Out of all our priorities for our wedding, MUSIC ranked right at the top. We must have looked at fifty different bands. The Hudson Horns stood head and shoulders above the rest. From their promo video alone, one could see that this was a group of true musicians, of artists, who could take a song and make it their own. We couldn't wait to see them perform—our expectations were high. And yet they blew us away. Believe me when I say that THIS IS NO ORDINARY BAND. They lifted all of our friends and family off their feet and had them dancing their hearts out, including the ones who CANNOT and DO NOT dance. For months after our wedding, guest after guest has asked us, "Who was that band?!" And quite a few have gone to see them perform around New York. I recommend you do as well—you'll wonder why I didn't use more caps. I first found Hudson Horns while I was at Radegast Beer Hall one night with my then-fiancé. We didn't even have a wedding date set, but I heard this amazing horn band from the other room and looked at my fiancé and said, "thats our band." I ran up and spoke with Jake, got their card, and booked them for our day. They played our wedding on 9/2/17, and could not have been better! For us, one of the most important things for our wedding was an amazing, cool band. As music lovers, we really wanted something different, and more interesting and funky and fun than your average wedding cover band. We gave them a Spotify playlist of New Orleansy, bluesy, and 70's funk songs, just as a kind of general inspiration, and they nailed it. They were so fun and groovy and perfect, and everyone was on their feet all night. Our goal for our wedding was a sweaty dance party and we definitely got it. We also wanted a band that everyone from my 90 year old Grandpa to our crazy, music snob friends would enjoy and dance to, and Hudson Horns did it. My grandpa said it was the best wedding he's ever been to, and so many people came to us throughout the night saying it was the best wedding band they ever heard. One of our friends came up to us and said "this wedding is like a concert." 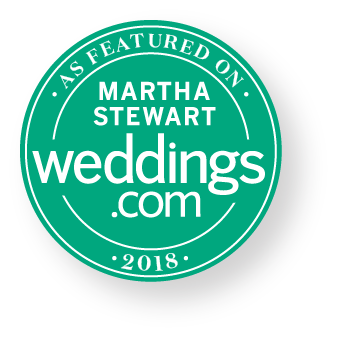 Weeks later, friends and family are still telling us how much fun they had, how they googled the band when they got home, and our engaged friends are all booking them for their days too! All that said, they also played at a perfect volume and great, appropriate tunes while we were eating dinner and during cocktail hour. All in all, obviously I can't say enough glowing things about Hudson Horns. Jake was wonderful to work with, and was always very responsive and professional throughout the entire process. Other than marrying my hot husband, they are what I loved most about our wedding! The Hudson Horns are pure magic! Highly recommend--so many of our wedding guest said that they were the standout of the night (and we agree!). They got the entire room up to dance--tunes for both young and old (which feels rare for a wedding)--and made the high energy in the room. I can't say enough good things about their group. We hired them for ceremony, cocktail hour (trio), and reception, and it was well worth the price. They are incredible musicians, have excellent taste (and style), and are super professional. Not to mention excellent with a crowd. Our guests couldn't get enough and were literally begging them to keep playing at the end of the wedding! Now that we are getting back into our normal routines after our honeymoon I have to send you a massive thank you. You guys were so incredible at our wedding we couldn't believe it. We had the absolute best time and I cant thank you enough for how much thought and planning clearly went into every detail. From the perfectly done ceremony music, to cocktail hour to the first dance songs to all the party music, it was absolute perfection, so much fun and we couldn't have asked for anything more. When you ended the night with Tweezer reprise, my friends pretty much collapsed on the floor. It was one of the best moments of my life dancing with my friends and family to our favorite song. We already have a few friends asking for your info and I will continue to refer you to everyone I know. If you ever need a reference or a review written, you know who to ask. Thank you again for making our wedding so perfect. The Hudson Horns Collective played at our camp wedding in September, 2018. From the ceremony, to the second line, through the reception, they absolutely killed it. They brought exactly the brass/funk sound we were going for with the reception, and they even played some salsa when it was requested by some guests. They kept up an amazing energy and vibe through the whole evening, and were generally a pleasure to work with and so so nice. Every single one of our guests commented on how amazing the band was, and two couples even asked for their details because they wanted to book them as well for their weddings. I can say that booking the Hudson Horns was easily the best decision we made during planning. The Hudson Horns were an integral part of our wedding! They were incredible--the songs they learned for us were perfect, and everyone raved about them all night (and now, for months afterwards). We appreciated how they rolled with all that the day brought--impending rain, high winds, and our officiants' last-minute request for them to join in the ceremony game. A massive thanks to the entire Horns team for their professionalism, skill, and good humor -- a rare combination, but a killer one! Having the Hudson Horns at our wedding was easily the best decision we made. Music was such an important part of the wedding for us and we didn't want to go with a typical, cookie-cutter wedding band. When we heard the Hudson Horns live for the first time we knew instantly that they would set our party apart from others and would truly be a standout part of the wedding. It's months later and we still have friends and family compliment us on our choice for wedding band. The Hudson Horns played an amazing mix of old and new songs, fun medley and even some special requests. They learned our musical tastes pretty quickly and we had such a blast partying with them all night long. We used them for not just the reception but for the ceremony and cocktail hour as well. Each section of our special day had a different and unique musical flare. Do yourself a favor and book them NOW ! We want to thank you for an incredible performance at Joe and Kim’s wedding at the Radnor Valley Country Club. Your performance made the night spectacular and forever memorable. The dance floor was packed the entire night! Many of our guest came over to us, texted, and called to say how amazing the band was, and we agree, a class act! Hudson Horns was hands down the most amazing part of our wedding day. We have had all of our wedding guests still saying "that was a once in a lifetime experience" and "it felt like a movie." Our reception was a 10 minute walk from the ceremony and instead of shuttling everyone in buses I knew it would be faster and more scenic to walk. I wanted to make the walk fun and festive so I contacted Hudson Horns for help. They were amazing. They offered so many great ideas to help collaborate to take 200 out of town guests from one location to another in the busy streets of New York with flair. They even came and met me on site a week before in order to walk the path and talk about songs that would be fun. After my husband and I walked down the aisle, Hudson Horns surprised our guests and started playing. They guided our guests down the aisle and outside to dance on the steps of the church. We then started our procession across Park Avenue, in front of St. Patricks, through Rockerfeller Center and up the escalators to the Rainbow Room while dancing non stop along the way. Hudson Horns kept the party going! It felt like a movie dancing down 5th Avenue with tour buses honking and all 200 of my guests dancing on the street. I would recommend Hudson Horns a thousand times over not only because they know how to keep the energy up, but also because they are reliable, accommodating and all around a wonderful group of artists. I can't say enough about this band. Prior to the wedding, all of our interactions were pleasant and professional, and Jake and the guys were happy to participate in the planning to ensure our ideas for making the rehearsal dinner and ceremony fun and interactive came to life flawlessly. The actual playing at both events was amazing... Something critical to note: when you book the Hudson Horns, you're not just booking a group of incredibly talented musicians, you're booking a vibe. The vibe these guys bring everywhere they go is palpable. All smiles, killer dance moves, and an interactive experience that will get your grandma on the dance floor. People won't shut up about them, and I mean that in the best way possible. From start to finish, working with Hudson Horns was a breeze. They were the ultimate party/wedding band and exactly what we were looking for! They brought the funk and kept everybody moving. We were particularly impressed with how they balanced keeping everybody entertained with letting our crowd mingle and socialize. Their creative twists and takes on covers are unlike anyone else around. Their second line march through the crowd was a show-stopper and blew our guests minds. The icing on the cake was them arranging a brass band version of one of our favorite songs as a couple. Absolute pros and highly recommended!